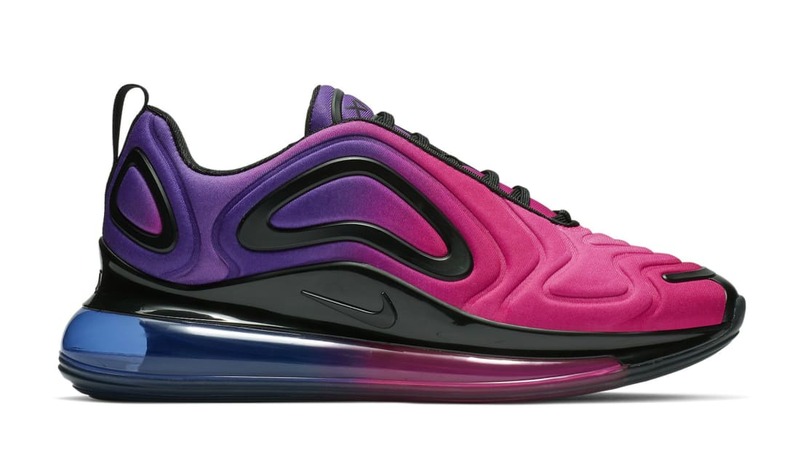 Nike Nike Air Max 720 Women's "Sunset"
Nike Air Max 720 Women's "Sunset"
A women's exclusive colorway for the Nike Air Max 720, the upper dons a purple to pink gradient fade with black accents on the toe, sides, and heel tab. Additional details include a black midsole with a blue to pink gradient Air Max unit. Release date is Feb. 21, 2019 at a retail price of $180.